Information about the Solid Waste Department. 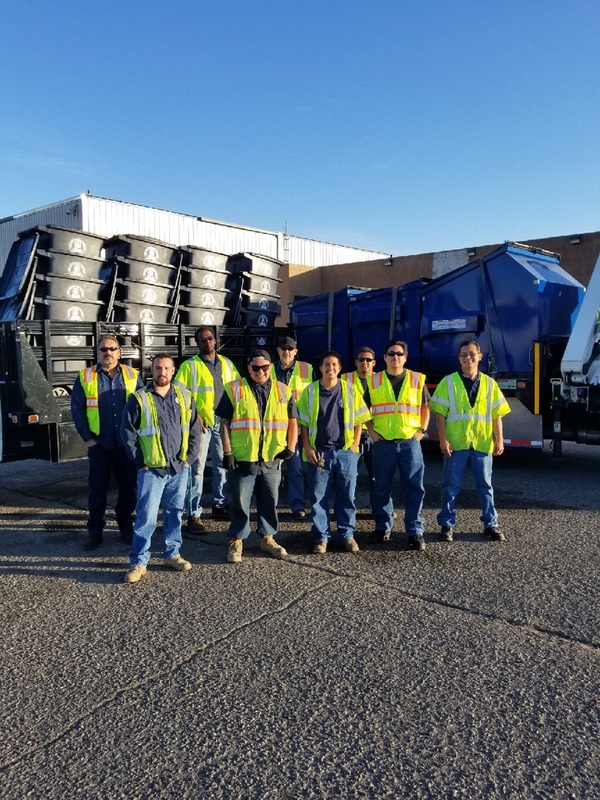 The Solid Waste Management Department’s dedicated employees are committed to making the City a more beautiful place to live, work, and play by providing median maintenance, daily graffiti removal, trash and recycling pick-up and disposal. Our Department seeks to inspire and educate communities to take simple every day actions to recycle right and beautify their neighborhoods. Moreover, should a resident need help disposing of a large item, by scheduling with 311 ahead of time, we will pick it up the item at no extra cost on their regular trash day. The Department also provides convenient drop-off facilities for additional customer needs through our three Convenience Centers and seventeen recycling drop-off sites located throughout the City. In addition, with the single-stream recycling program, all recyclables can go into one container, which makes recycling for residents and commercial businesses easy. Our families are part of the community too and by providing opportunities to help keep our city clean, healthy, and sustainable we all win, now and for future generations. We believe that to keep our City clean and beautiful requires a commitment from everyone.